Knee dislocation is an infrequent pathology. This prevalence has been increasing in later years due to a better understanding of the lesion and the advance in imaging diagnostic techniques. Once the dislocation is reduced, a thorough neurovascular examination should be carried out. Indicating an MRI is fundamental so as to allow us to see important details of the meniscal, ligament and capsular lesions. 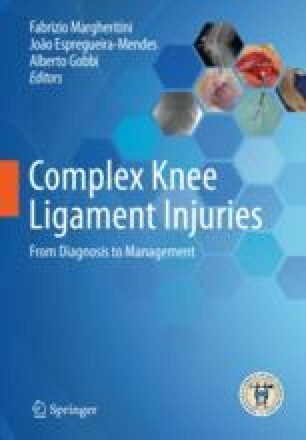 To approach the treatment of knee dislocation, we base ourselves on the anatomic classification described by Robert Schenck. We do obtain the best results performing surgical treatment as soon as possible. When we are able to perform the surgery in the acute period, we opt for performing a repair plus reconstruction with an allo- or autograft of the ligament structures involved. The availability of an allograft is relevant since it lowers morbidity and surgical time. The surgeon’s experience in the treatment of this type of lesions is crucial in the final results.